The upstairs of the Gerding Theater at the Armory was filled with gussied up transportation professionals on Tuesday night. They were gathered to celebrate women’s work – specifically women’s roles in the fields of transportation planning, advocacy, and engineering. The Women’s Transportation Seminar is an international organization dedicated to providing mentorship for women working in the transportation field. 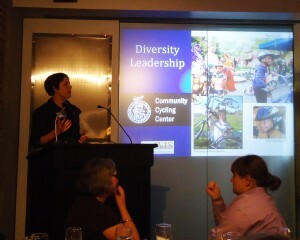 And last night we were honored with their Diversity Leadership Award for Communities in Motion. 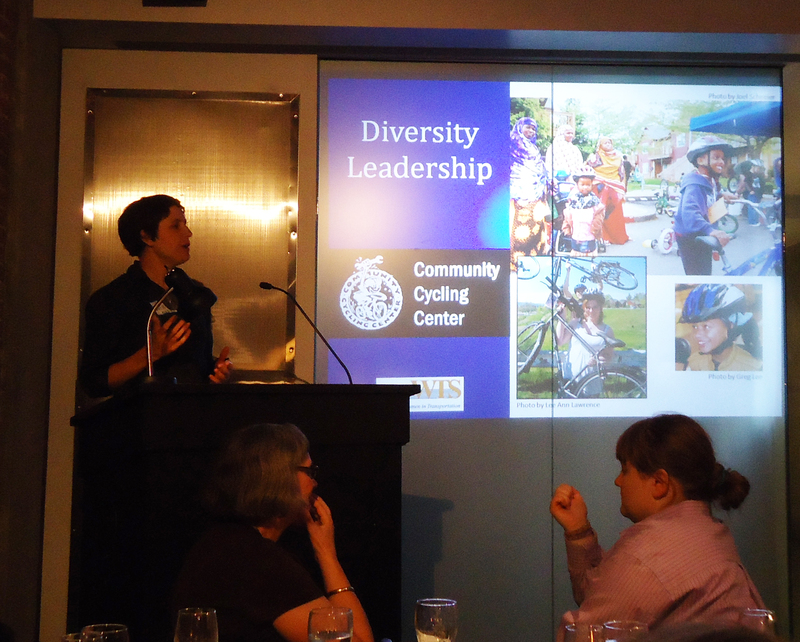 Our work was recognized for “promoting diversity and inclusion.” In her acceptance speech, Zan Gibbs, our Program Manager, encouraged the engineers in the room to consider “equity impacts” in addition to environmental impacts in their future projects. Thank you to the ladies of WTS for acknowledging the value of our work in north and northeast Portland. We strive to do more and better in the future, but we are honored to be recognized for our efforts so far.